As most experienced practitioners and professionals will already be aware, re-pointing using lime mortar instead of cement is essential when dealing with most pre-1914 buildings. The damage caused by the inappropriate use of cement mortar can be both irreversible and detrimental to the integrity of the host masonry. Cook Masonry has an experienced team that is able to provide a full range of lime pointing services. 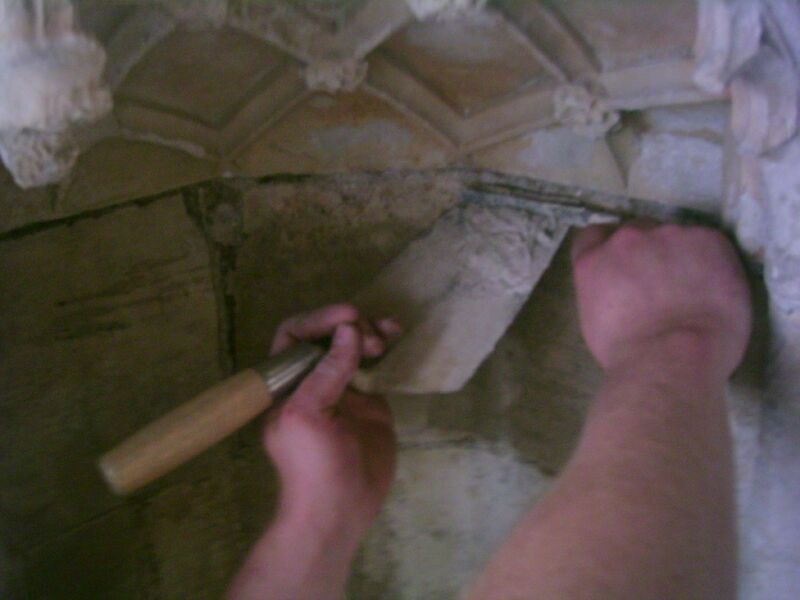 We undertake work ranging from one hundred percent building re-pointing to small areas of patching and repairs. We can remove unsuitable and decayed pointing, specify and supply an appropriate replacement lime mortar, apply the mix and provide the necessary after-care. Cook masonry ensures that only trained craftsmen with experience of shaping stone are permitted to remove any decaying or unwanted mortar. This is a service which very few other companies are able to provide. Our policy ensures that lime pointing carried out by Cook Masonry is done to the highest possible standard and with the absolute minimum possible loss of historic fabric around any type of architectural details. If you would be interested in finding out more information about our lime pointing services or would like a no obligation quote than please do not hesitate to contact us.